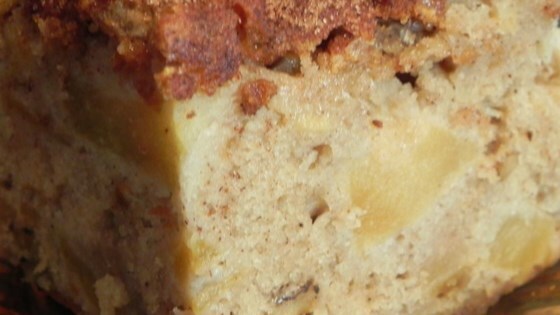 "A great tasting, moist cake and a great way to use up extra apples"
Preheat oven to 350 degrees F (175 degrees C) lightly grease and flour a 9x13 inch pan. Add four mixture and mix well. Add vanilla. Fold in apples and nuts. Pour batter into 9x13 inch pan.